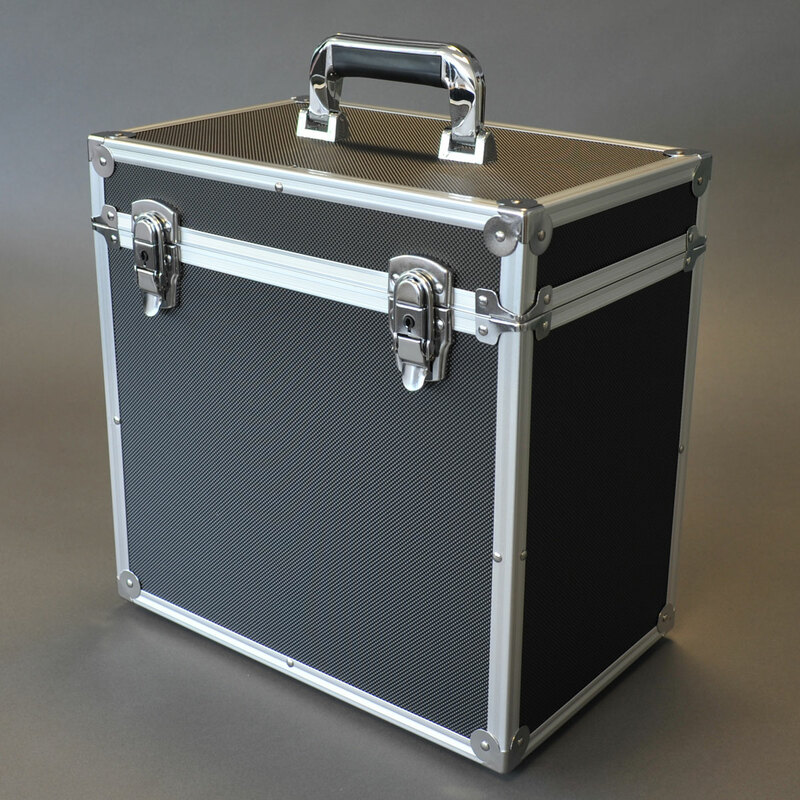 12″ Light Weight Aluminium Black- holds approx 50 records. 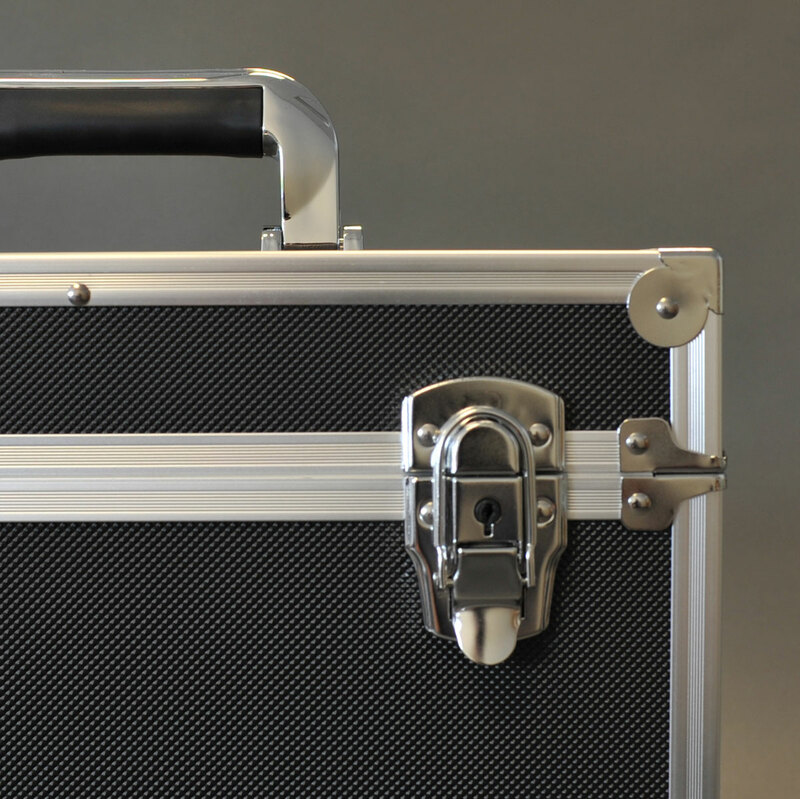 Lockable catches. Size approximately 35.5cm wide x 36cm height x 22cm depth. 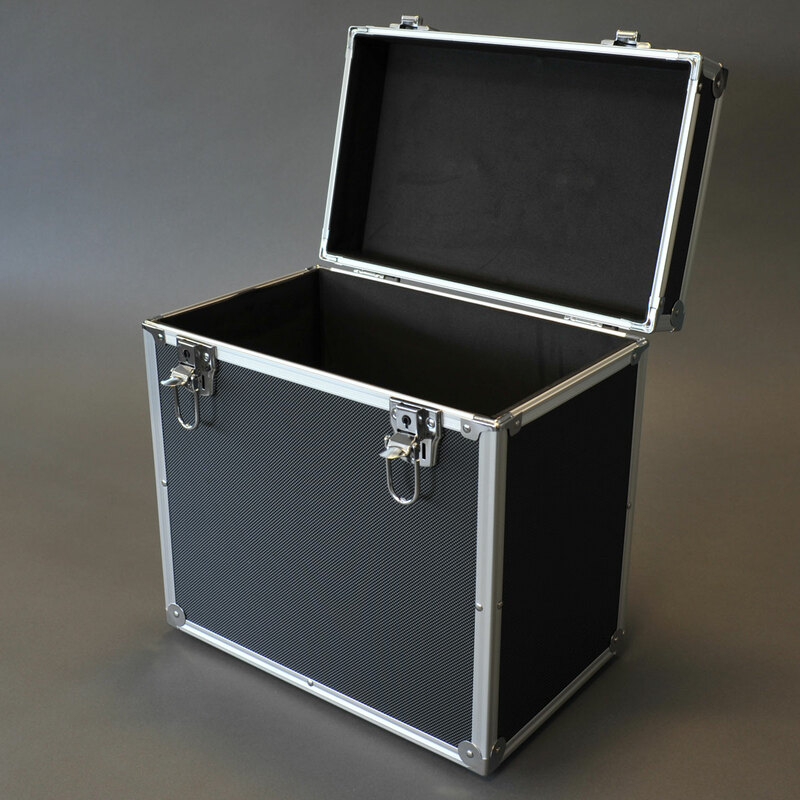 Internal 33cm wide x 33.8cm height x 19.9cm depth. 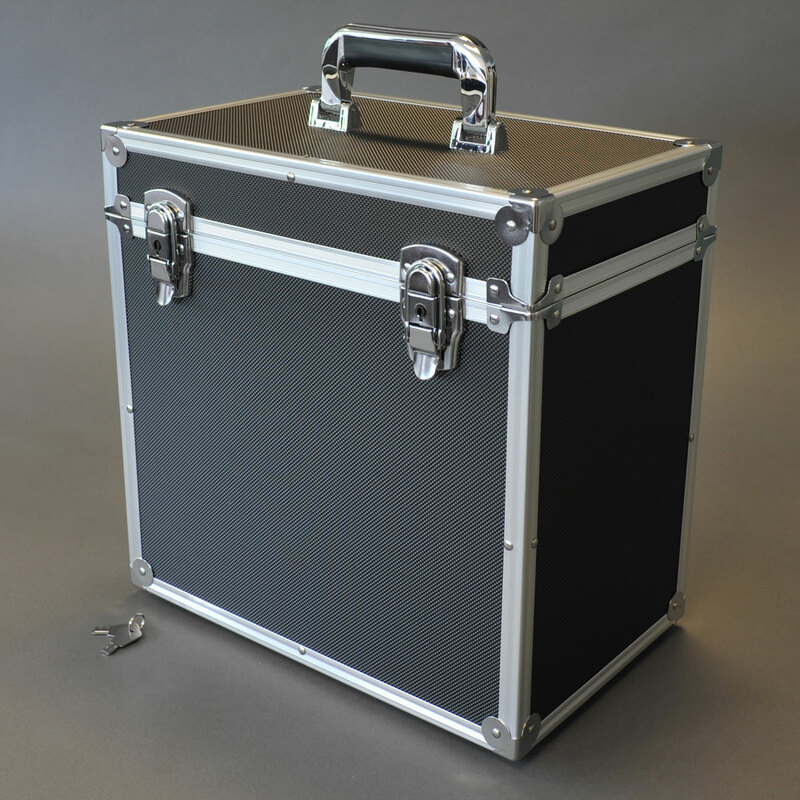 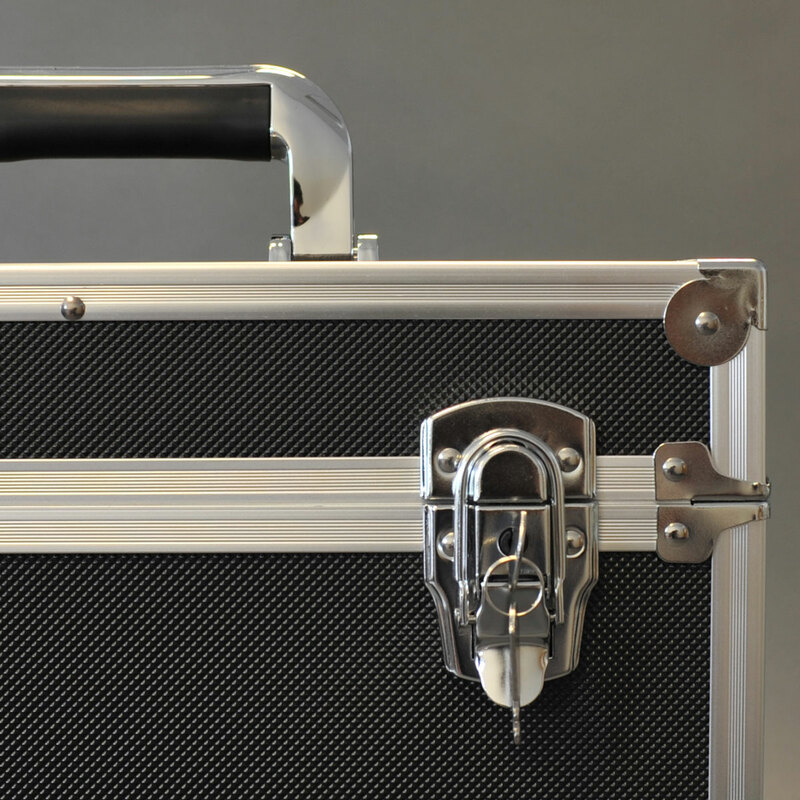 aluminium cases are lockable, so they’re safe away from prying eyes. 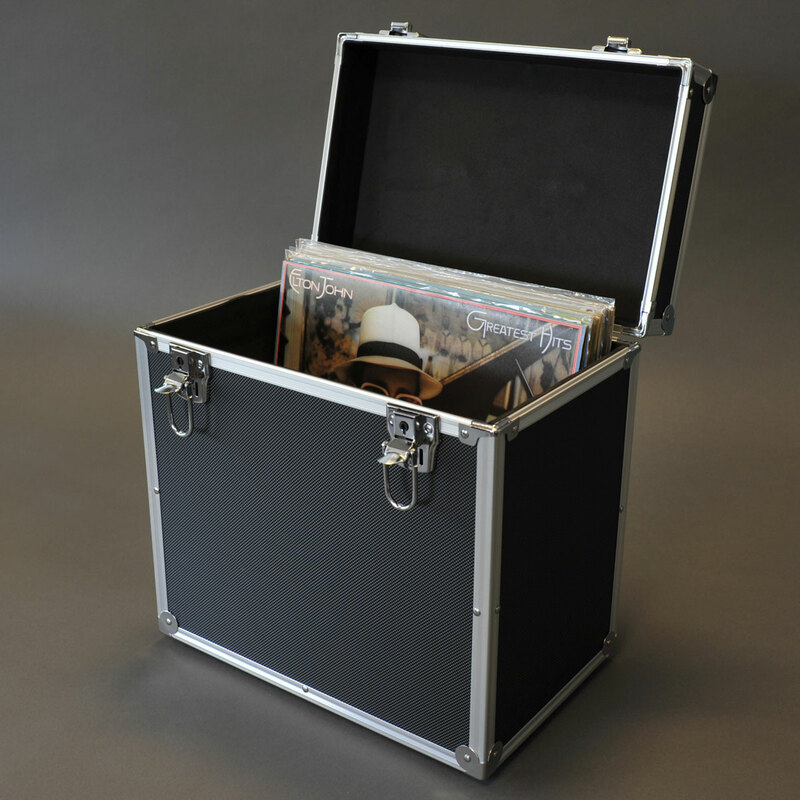 Our 12” / LP aluminium storage case can hold approximately 50 records and is designed to house both your records and Covers 33 outer sleeves.